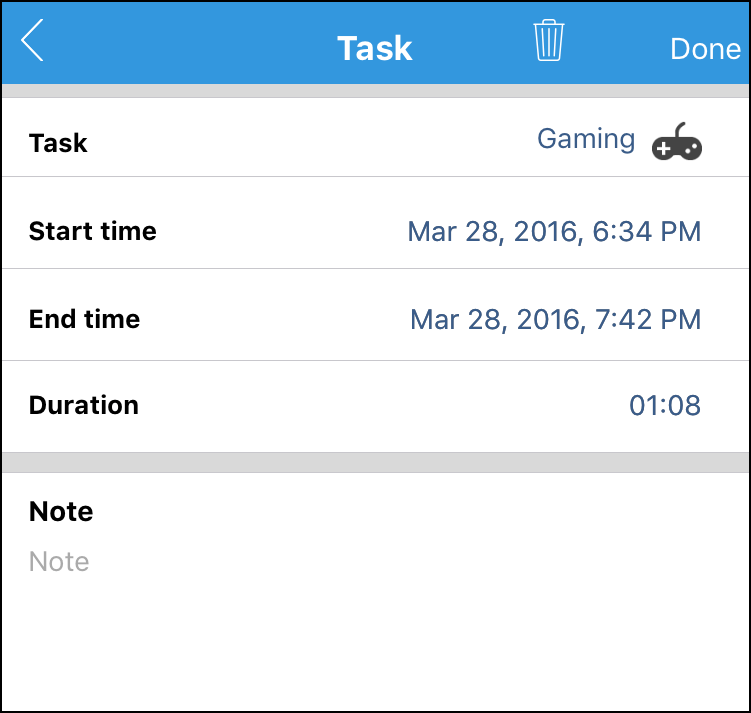 From version 8.40, user can open the task entry edit form by tapping and holding the task in “Today” tab. If the task is running, ATracker will open that entry, otherwise it will open the latest entry of that task. 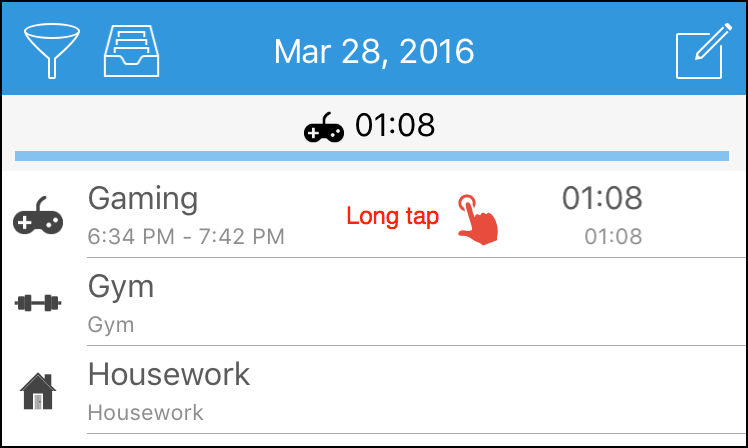 This is implemented so user can easily adjust the start / stop time of the entry and add / modify notes without having to switching to History tab. The Notes feature is only enabled in the ATracker PRO or the upgraded ATracker Lite.